Bonus post today! 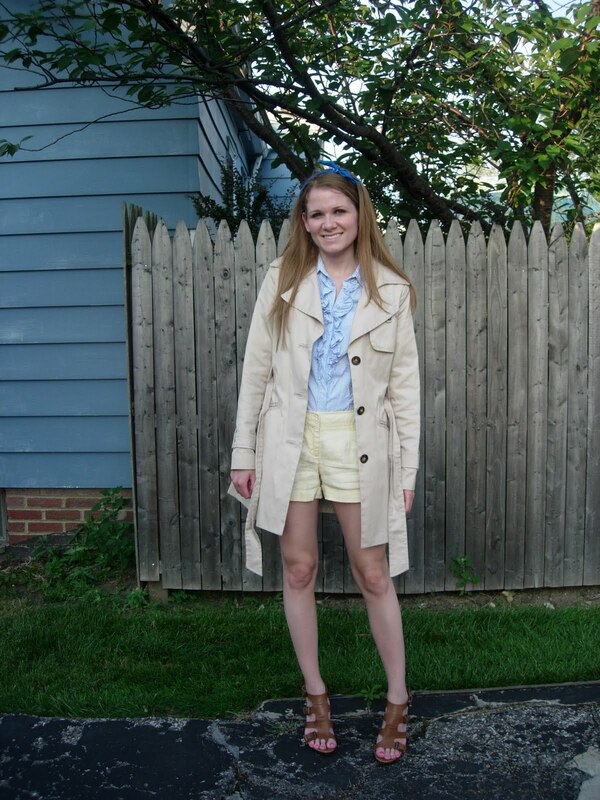 I entered this contest on Weardrobe that required you to show how you style your trench. In my post I referenced the fact that I love how a trench can really pull a simple outfit together. So I wore an outfit that I would wear to run errands to make the point that even in this simple outfit the trench can work wonders. I also threw on the bandanna headband and realized I looked a little 50s housewife-ish. Go here and click on the heart in the corner of my photo to vote. Thanks! you can't go wrong with a classic piece. Looks amazing! The cherry on top is your cute little headband! So cute! A trench with shorts…I'm diggin' it!